It seriously didn’t hit me until I was planning to write about this. I know you must be wondering how on earth I managed to come up with yet another potato dish and call it Low cal! Well for one thing, this sandwich is not that greasy and second Potato is still essential add on and considering the fact that more than potato, this had onions and mint. Well I could have called it by other names, but you know right, there is nothing like tagging something as Potato and getting attention. This is a dish that’s straight out of my school days. Infact I realised that I have never talked about this dish and even while making this, I changed the recipe. 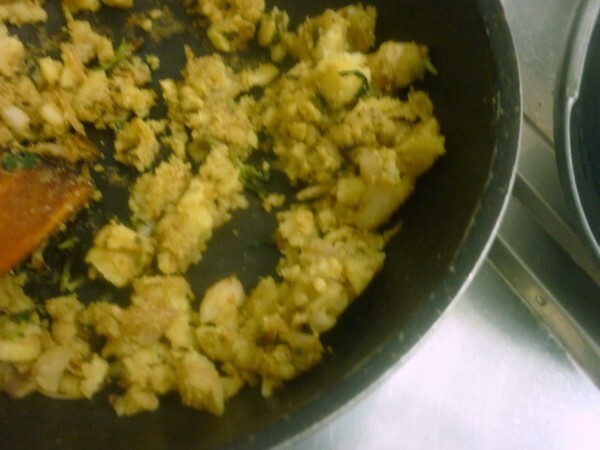 However the memories were there, those mornings and evenings when Amma used to make this for a quick bite, when I used to ask her to make, not knowing exactly how to refer this dish. There is like difficulty we all have. We can never name the dish we create ourselves by chance. And we forever keep referring to by some signs and incidents. Anyway I don’t have the whole night. Yes off late I have resorted to doing it very late, so late that it could well be next day. Now for this simple and quick sandwich. Microwave the potato for 5 mins. Remove the peel. 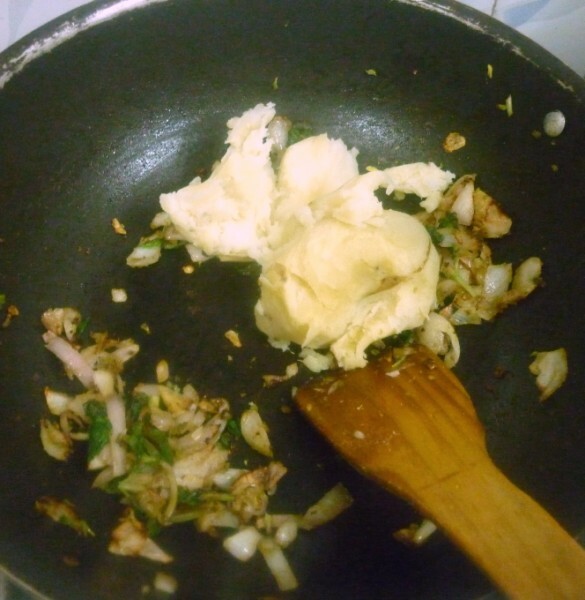 In a non stick pan, heat oil. 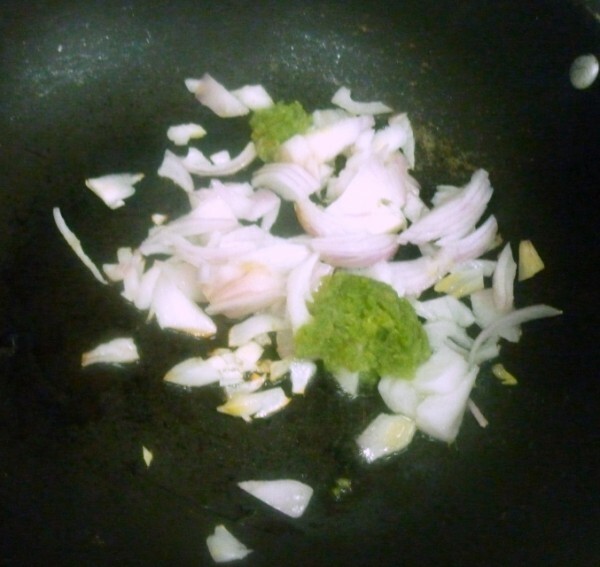 Add the onion julienne, saute well. Then add green chili paste and saute well. Next add the mint leaves, masala and combine everything well. Saute till the masala is dry. 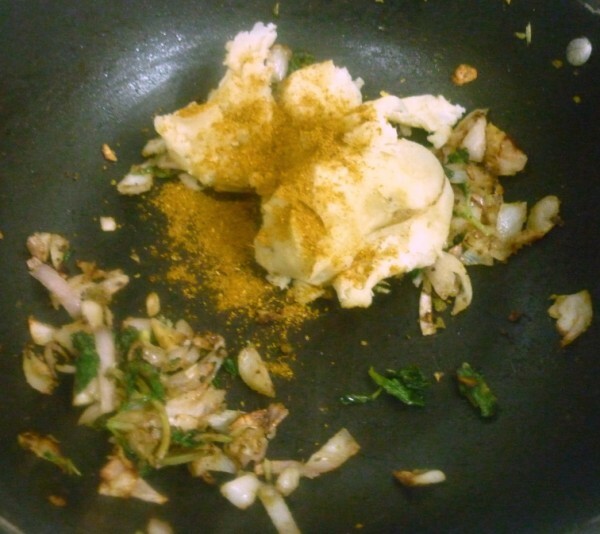 In a tawa, toast the bread slices, spread the masala over one slice and press the other one tightly. I remember Amma adding chili powder, along with mint. Kitchen King Masala gives a very different taste all together. 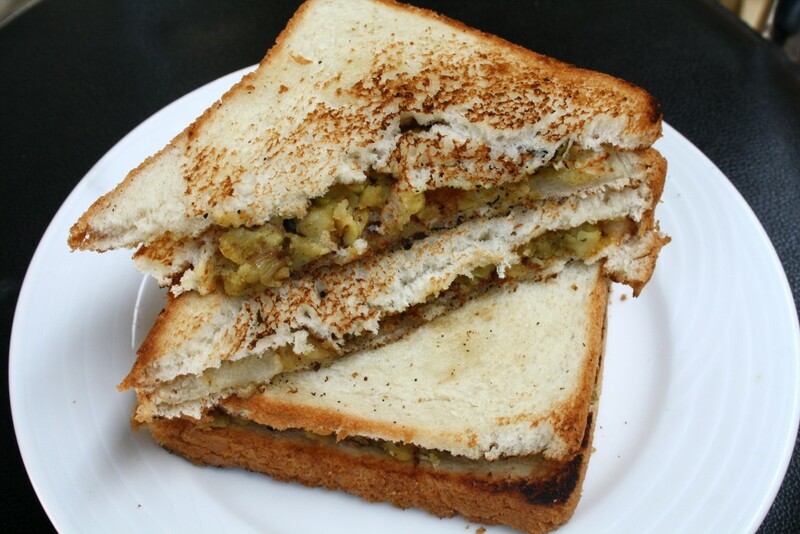 Sandwich with potatoes never go wrong, simply loving it. Late nights and odd hours…thst is so me! My mother too used to make a similar sandwich. Except that she added everything raw and made it in the sandwich maker. Anything with potato is a hit anyway, isn't it? Super sandwich. Delicious and filling..
That is a nice snack, a nice lunchbox recipe and a great breakfast!!! 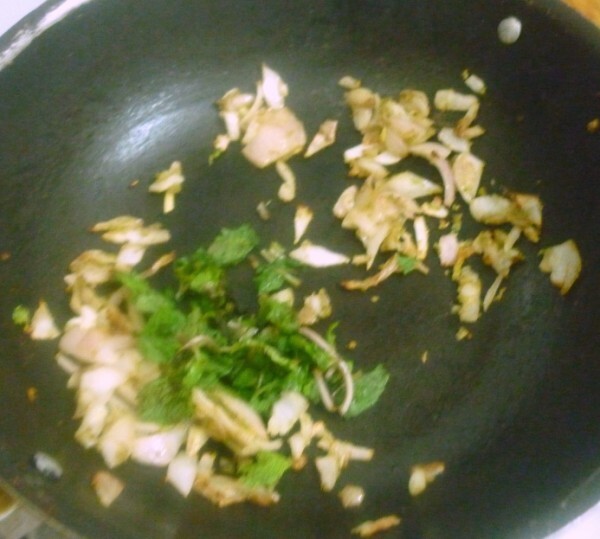 Potato & mint is a new combination for me :D, will try this for sure sometime! 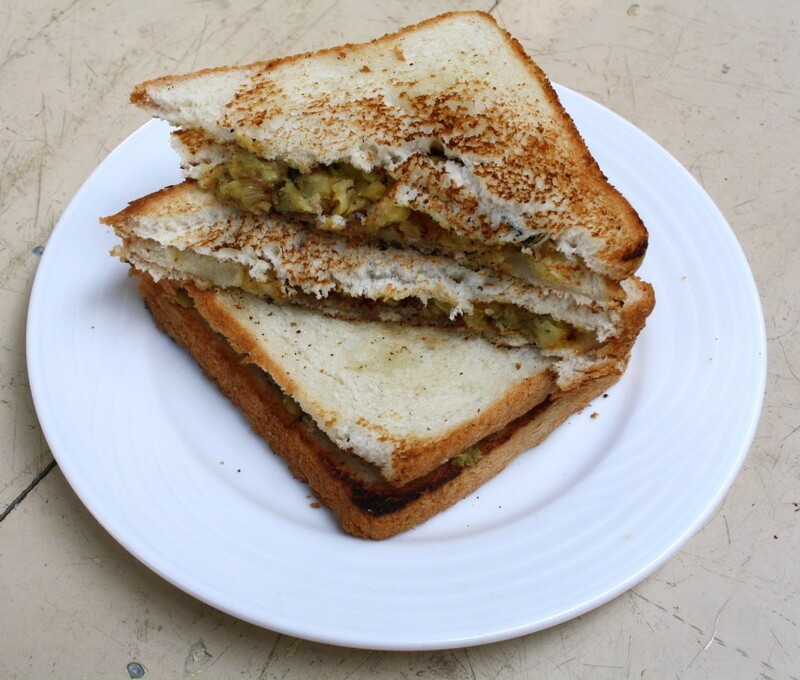 My everyday breakfast is a sandwich toast…n this one is going to be tom morning's breakfast. looks just great. I want some.